Your valves aid in the combustion process, letting air in and exhaust out. So when they fail, you can run into a whole host of other problems, including problems with your cylinder head. 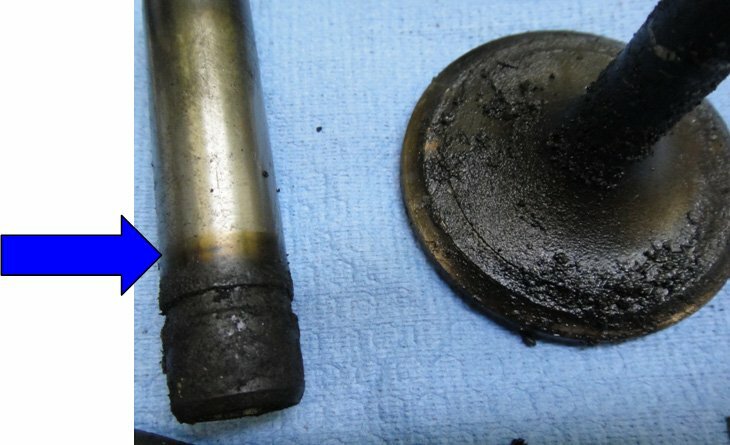 Below are some common causes of diesel engine valve failure. Valve recession is caused by extremely high operating temperatures, as well as deposits of sludge and oil left after the oil is burnt. 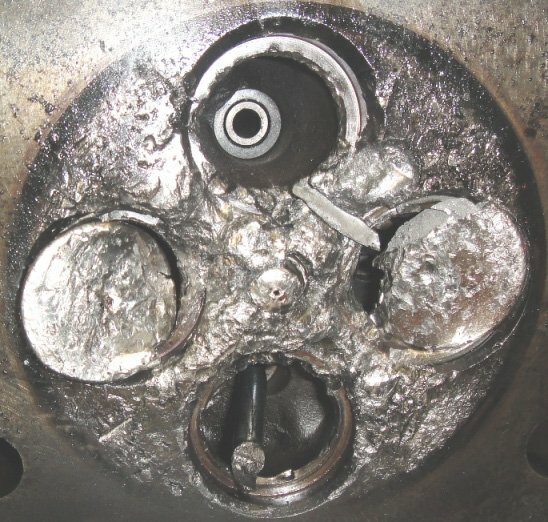 According to Lloyd Leugner, valve recession in a natural gas engine is caused by improper lubrication allowing for deposits to be left. Additives and sulfated ash can help with this issue, but could also cause other problems. He recommends consulting the engine guidelines for further information on their specific model. 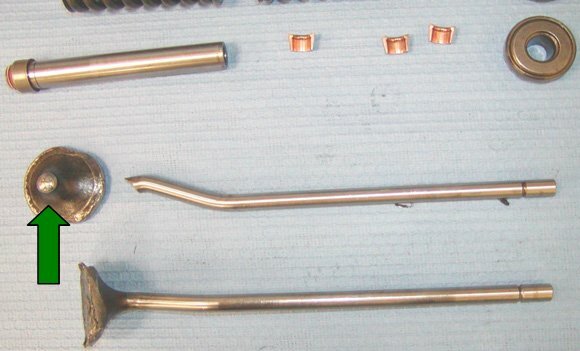 The stem of the valve below has abrasive wear. This is not caused by defective material, but improper adjustment. 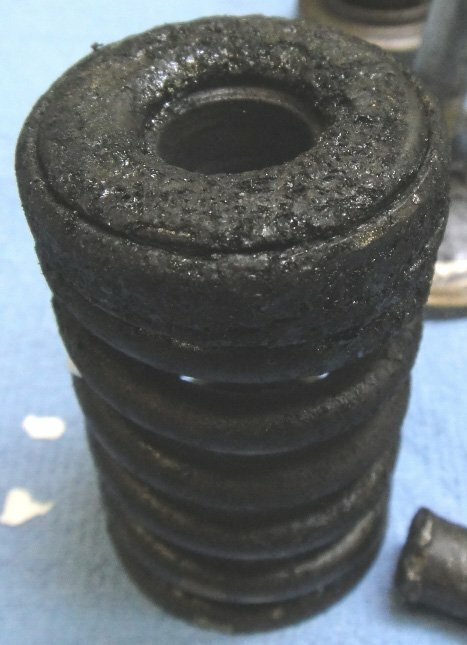 Carbon buildup can be extremely abrasive on valves and valve components. The following pictures show the results of this buildup. The blue arrow draws your attention to the heat discoloration of the guide. Again, this failure is not caused by defective products, but by the carbon buildup from external conditions. 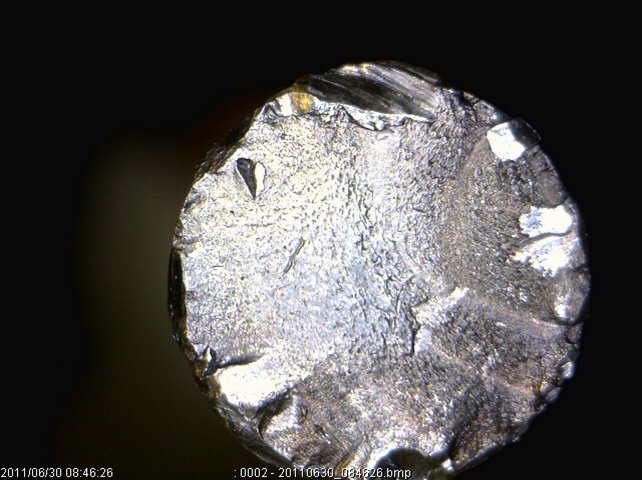 Carbon cutting caused the failure in the below image. The stem has broken above the valve face, which is the strongest part of the valve. 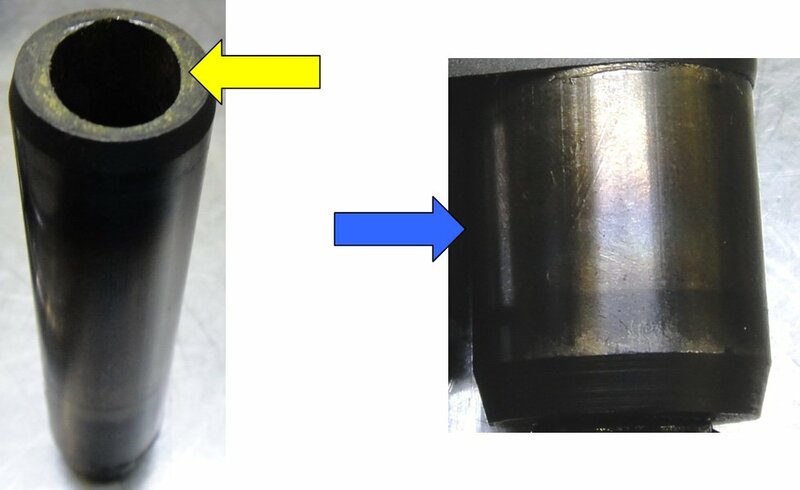 The two pictures below depict wear in the valve guide. For these particular guides, the wear occurred in the lower part, close to the head. Note the discoloration caused by excessive heat. The root cause of this is likely poorly set valve bridges or other maintenance problems. Seat wear reduces valve lash and effect when the valve is in operation. This changes the valve timing. More than that, though, it can alter scavenging, valve overlap, and valve and valve seat cooling. Poor scavenging can lead to excessive heat in the exhaust ports, which in turn damages the valve guides. If two valves that share a crosshead are worn differently, valve side loading can occur, creating wear in the valve stems. Inspect before install to help prevent this issue. In the below picture, a complete valve is placed next to a broken valve for comparison. 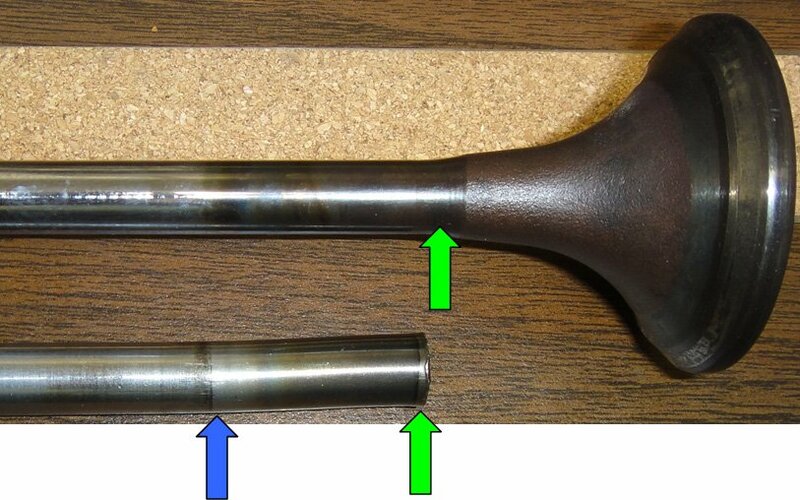 The green arrows indicate the break location of the failed valve, and the blue arrow shows the spot where the valve head is welded to the valve stem. Finally, we see the damaged cylinder head. 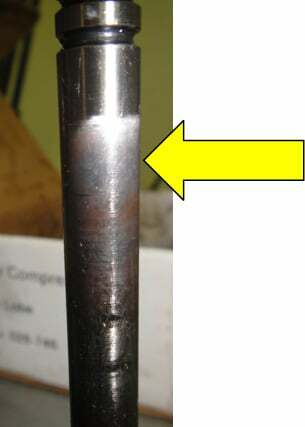 The remains of the valve stem can be seen, which is a secondary failure. Because the valve had no flaws in the break area and it didn't break at the weld as claimed, it's most likely that the cause of failure is bending fatigue from misalignment. Sometimes, valve failure occurs due to impact loading. 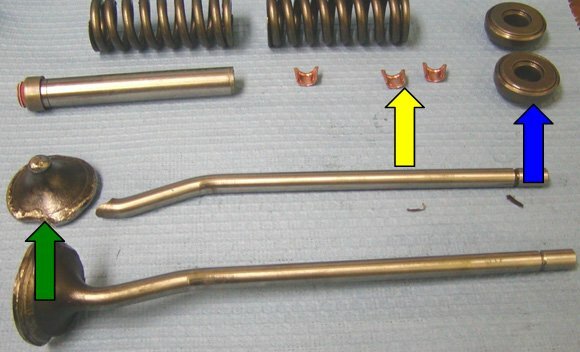 In the picture below, the yellow arrow points to undamaged retainers, the blue arrow shows properly functioning rotators, the green arrow shows the broken valve, and the two valves show no indication of having seized in the valve guide. 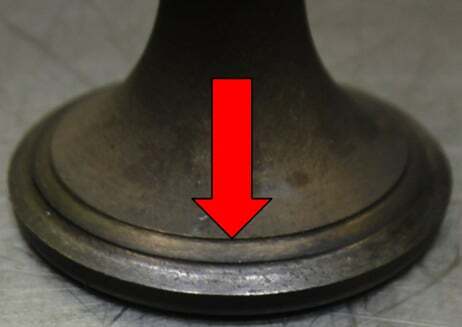 Because the break occurred in the weld area, the strongest part of a valve, the failure could only have resulted from impact. The unbroken valve has a bend in the same place, and no other components show any indication of failure. If you have any other questions about valves, or diesel engine parts in general, give us a call at 844-215-3406! We have certified techs on staff who can help you find the right parts for your diesel engine. Prefer to keep it online? You can request a quote here.